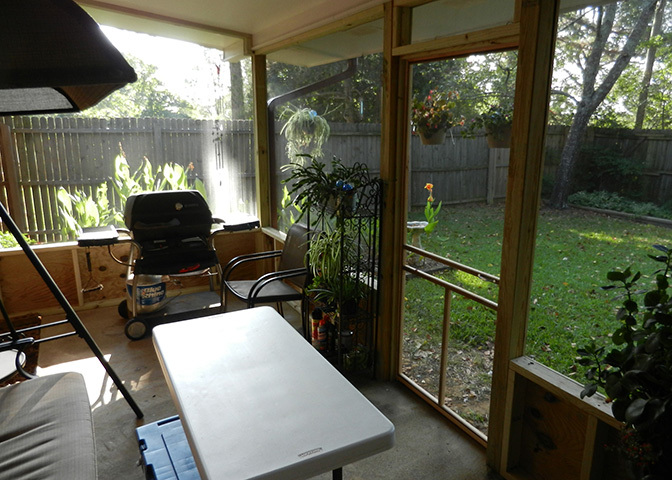 Thursday, August 21 and Friday brother Lester Grimmett, his helper and I applied lumber and fiberglass screen to make a screened-in back porch at our borrowed, Winona home. Mosquitoes and other repulsive creatures just love me – to bite me, that is. This year especially, mosquitoes around our house rival any Bonnie and I have encountered in the tropics of Asia and South America. They are so bothersome that they populate the inside of our house daily, too. I am a virtual mosquito magnet! Maybe now when the heat and humidity retreats a little again, Bonnie and I will be able to enjoy our backyard escape into our miniature garden without the prickly little boogers that leave welts all over me. One little detour to the satisfactory putting everything back on the little screen patio slab was a minor accident I had Friday afternoon. For many months, particularly in heavy heat or when standing after stooping down, I have been getting lightheaded momentarily. It always passes, except on Friday. Who would believe someone could hurt so much from simply falling from a standing position – as I did on Friday. I have the scrapes and bruises to satisfy that little bit of painful research. Fortunately, I didn’t do any serious damage to myself or to anything else when I passed out and keeled over. The bottom number on my blood pressure was still “47” 40 minutes after the incident. However, Saturday morning, I was able to do some things around outside that were necessary before I resorted to the AC inside for the balance of the day. Afterward, Bonnie and I kicked around Jackson, MS for the afternoon, first dining at and sharing a meal at Olive Garden; despite sharing the meal, we still carted away enough for another meal back at the house for another day. Bonnie cannot eat much at a time, and I have reduced my intake, too, as we share meals; I really like the money-savings bonus that comes along with that strategy. We shopped at Hancock Fabrics and then paused for a couple of hours in comfy seating at a nearby air conditioned mall. We bought gas, some other things at Wal-Mart, of course, and an ice cream cone apiece and a cold drink – as we waited for it to be time to head to our evening venue. Sunday evening, we worshipped with our sponsoring congregation, the Siwell Road Church of Christ on the south side of Jackson. I slipped up and got us there about an hour ahead of time; worship began at 5:30 p.m. I preached about “Rearing Children.” Services concluded, Bonnie and I headed in the direction of home – two hours north on I-55. However, on the way, we made two detours and brief stops. First, we visited Kroger in Madison, MS to buy groceries. Secondly, we grabbed sandwiches, shared a fry and soda at Arby’s in Canton, MS along the highway. Upon arriving back in Winona, we retired to bed as soon as we got the car emptied and cold items in the refrigerator or in the freezer. We were bushed. Monday, Bonnie spent a lot of time on the phone trying to pin down the delivery of eight pallets of literature to the World Evangelism building in Winona; we have been waiting for over a week for the shipment to make its way from a dock in Los Angeles to us. It already travel all the way from Hong Kong where we had it printed in color throughout – mostly the new Bible class curriculum. There was ample office work to keep us both hopping – accounting, packaging book and tract orders to take to the Post Office, trying to hammer out our itinerary for our upcoming travels abroad, and doing all that is necessary to apply for our visas to Myanmar. Tuesday, a tractor trailer finally pulled up out front. 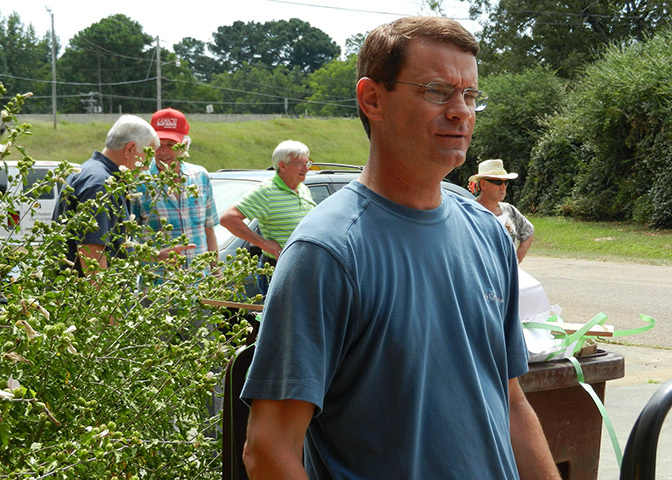 Eighteen volunteers representing three congregations (West President Church of Christ in Greenwood, MS; Liberty Church of Christ in Dennis, MS – three hours away; and Huntsville Church of Christ outside of French Camp, MS) showed up just in time to help me unload and put away 25,000 books – in the blistering hot, highly muggy Mississippi summer day. It’s dark as I compose this, but without all that help, I’d still be working on that job! Some boxes were damaged in shipment, but we only lost about eight books. Several ladies came along with men, and so they collated several different pieces of literature to ready it for shipping out, beginning on Thursday. Some congregations will be beta testing two different age groups of material this fall. Otherwise, we shipped book and tract orders. We prepared for doing our mail out of the August edition of the Rushmore Newsletter; it arrived from the printing company the day before. Wednesday, we will attempt to fold, stuff, tab, label and mail nearly 1,000 pieces. Perhaps by Wednesday, Bonnie and I also can send out the numerous “Thank You” cards from those who recently sent monetary gifts to fund our labors stateside and overseas. 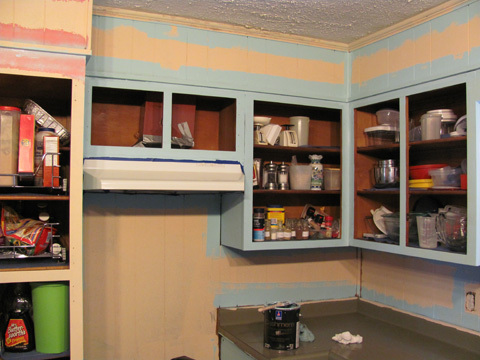 There are dozens of additional tasks just begging to be addressed, too. In due time, they all will move to the forefront and receive our attention (e.g., preparation of lessons for the seminars and Gospel lessons we each will present over nine weeks abroad, making appointments for stateside travel before and after our fall overseas mission trip, working on Gospel Gazette Online, working on The Voice of Truth International, etc.). We are making progress on all fronts, but we don’t expect to be done or wholly caught up until we pass over the threshold from our earthly existence to our heavenly reward. Come go with us! Saturday, November 31, Bonnie and I drove from Winona, MS to Batesville, AR. We spent the night in a local motel in preparation for worshipping on the Lord’s Day (on December 1) with the Southside, AR Church of Christ—as the name indicates, just south of Batesville. We opted for supper at Arby’s and dessert at Dairy Queen—about a block apart from each other. Sunday, I made a PowerPoint presentation of my 2013 foreign mission trips during the Bible class time. We visited vicariously through my trips Myanmar (formerly known as Burma) in Asia and Guyana, South America. Normally, Bonnie and I spend up to two months in Asia in any of four countries and up to one month in Guyana; this year, however, without Bonnie at my side due to her illness, I stayed three weeks in Guyana and three weeks in Myanmar this year. Happily, Bonnie has recovered and will be traveling with me to Guyana for the entire month of February. During worship, I preached, “Why Do the Churches of Christ Not Use Instrumental Music in Worship?” About 80 were present. Bonnie and I are always graciously received by our brothers and sisters in Christ at the Southside, AR congregation. We feel at home or comfortable there. After worship, we dined with brother Bob and sister Shirley Harris, preacher and his wife for the church. We ate at a quaint, rustic restaurant across the street from the meetinghouse. The food was good, which is always a plus at an eatery, and the companionship was grand. 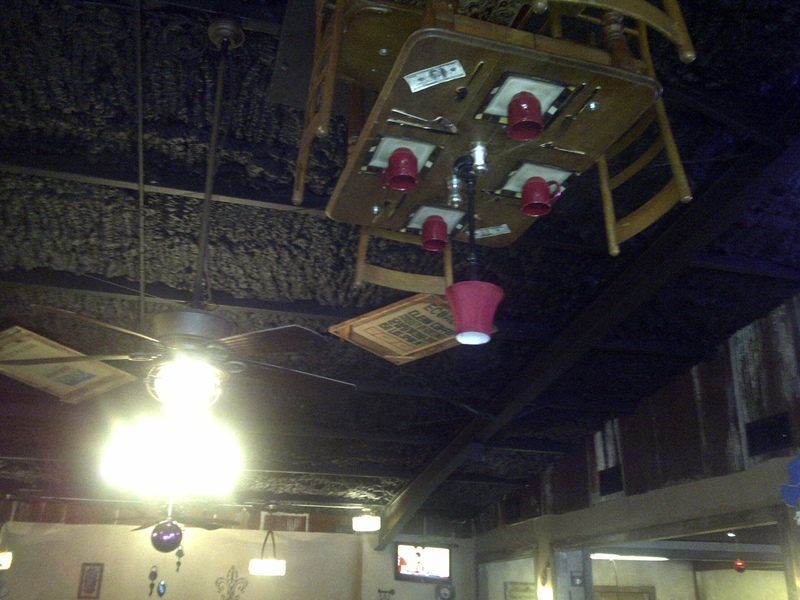 An interesting oddity was that among the other items tacked on the walls and ceiling was a complete table, chairs, dishes, cups, etc. hanging upside down from the ceiling. Sister Harris said she never sits at the table under the hanging table because she doesn’t trust it not to fall while she is eating. While we were at the restaurant, two other preachers from neighboring communities greeted me. One brother was from Oil Trough, AR; he highly praised Gospel Gazette Online and my most recent editorial in The Voice of Truth International magazine. Encouraging words are always appreciated and help us keep the momentum going to accomplish those things. After lunch, Bonnie and I headed for Rebecca’s home in Collierville, TN. We will stay over two nights before returning to Winona, MS. Tomorrow, Bonnie and I will put on our annual demonstration, with a PowerPoint presentation, about foreign culture at the school where Rebecca teaches. Tuesday, Bonnie and I pick up sister Marilyn LaStrape at the Memphis, TN airport before returning to Winona. More about those two events later. Wednesday, I begin a 6-month class on Wednesday evenings at the Siwell Rd. Church of Christ in Jackson, MS. More about that later, too. We keep ourselves busy in the service of our Lord, with the help and financial underwriting of our Christian brethren and churches of Christ. Thank you! Tags: 2013 Mission Trips, Gospel Gazette Online, Literature, religious journal, Voice of Truth International, Why Do the Churches of Christ Not Use Instrumental Music in Worship? 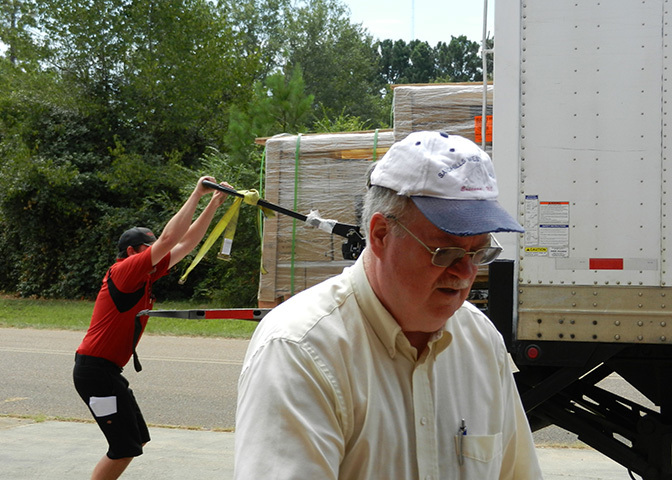 Not having a loading dock at the World Evangelism Building and with no lift gate on the tractor-trailer, we had to take boxes from the back of the trailer, put them on hand trucks and wheel them into the warehouse. For almost exactly one year Bonnie has had an exemption from warehouse duty and any other strenuous activity (e.g., mowing grass), but she was cleared medically the previous Friday to do whatever she felt up to doing. Monday, Bonnie got quite a workout. I lifted down the hundreds of boxes to the ground, and Bonnie wheeled them to their destinations in the warehouse. Betty stacked them on pallets in the warehouse. Whenever we are not involved in routine, daily matters (e.g., fulfilling stateside orders for literature and taking them to the Post Office, preparing mailings, working on future issues of The Voice of Truth International and Gospel Gazette Online, etc. 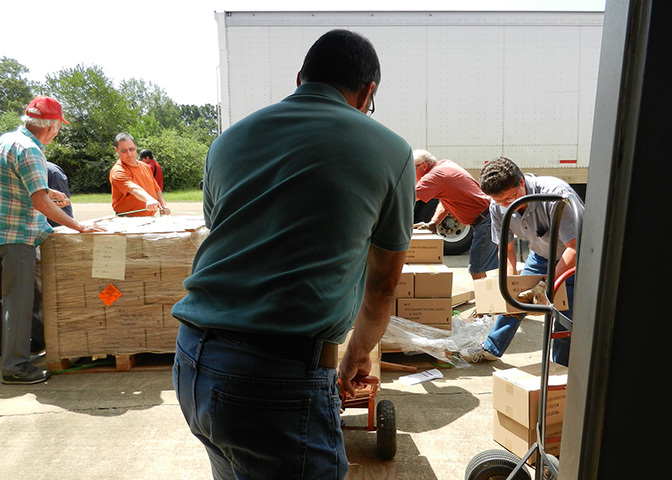 ), we divert our attention to such things as unloading or loading tractor-trailers with Christian literature. 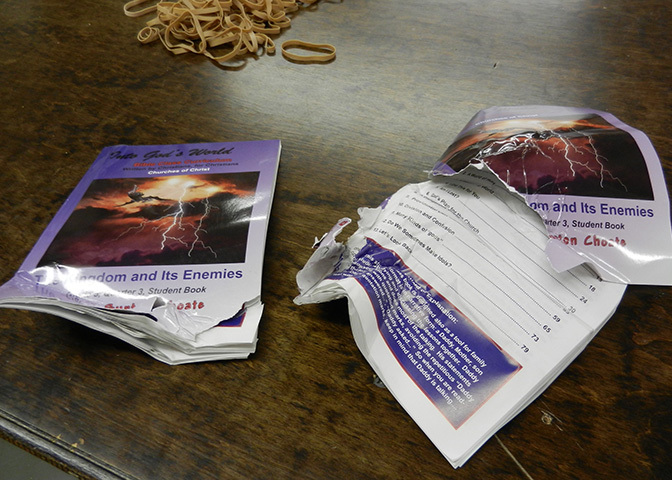 Volume 78 of The Voice of Truth International just received, Bonnie and Betty are already working on Volume 79. 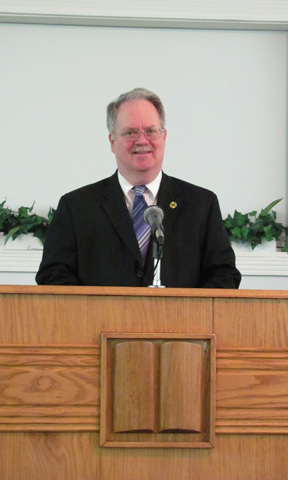 Wednesday, September 5, Bonnie and I fellowshipped with the Charleston, MS Church of Christ for evening Bible Study. I presented my PowerPoint Into All the World in 2011. Individual members of this congregation have for years encouraged us and participated financially with us in our mission work. This occasion was no exception to past experiences. Saturday, September 8, Bonnie and I motored to Huntsville, AL where we lodged the night with Lindell and Sharon Smith. He is one of the elders of the Farley Church of Christ where I spoke twice on Sunday morning. 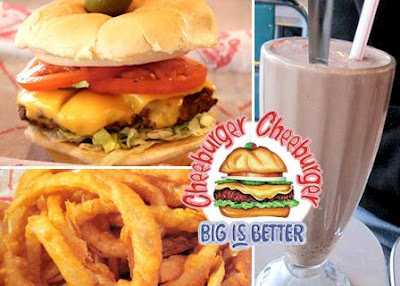 Brother and sister Smith introduced us to a new restaurant experience at Cheeburger. It was a 50’s setting and good cheeseburgers and onion rings. I wish I had gotten the milkshake pictured. For Sunday class, I made the Into All the World in 2011 PowerPoint presentation. For worship, I preached Worshipping Almighty God Acceptably and with Godly Fear; this is the most important sermon I have ever preached, and everywhere I present it, brethren remark how timely and necessary it is. 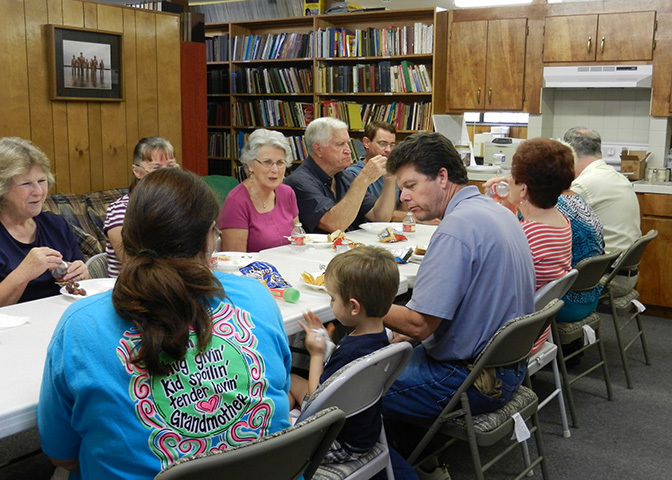 The small Farley Church of Christ is not a regular contributor, but some of its members are. Each of the elders participated with us financially and publicly encouraged the congregation to do the same. 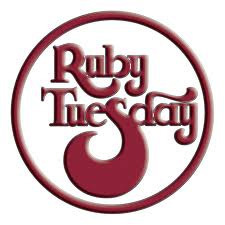 For lunch, Paul and Gladys Clements took us to yet another restaurant to which we had not been, though it, too, is a chain restaurant – Ruby Tuesdays. The food was good and the fellowship was even better. We had quite a protracted interaction with our server and the manager. I gave each of them our Million Dollar Bill tract with the plan of salvation on the reverse. I gave the young lady serving our table a business card with us in Indian dress on one side and the URL for Gospel Gazette Online on the other side. Paul invited her to worship with the Farley Church of Christ. On the way back to Winona that afternoon, we stopped in Tupelo, MS for some light shopping and a long overdue carwash. Still, bugs aplenty pepper the front bumper, hood and mirrors. Being in the right place at the right time, we worshipped for the first time with the Gloster Street Church of Christ in Tupelo. The lesson was edifying and the congregation was very friendly. I spoke briefly with one of the elders, James Segars, who is brother to an elder (Doug Segars) of the West President Street Church of Christ in Greenwood, MS. Bonnie and I left a case of The Voice of Truth International and some Global Harvest magazines with the Gloster Street congregation. 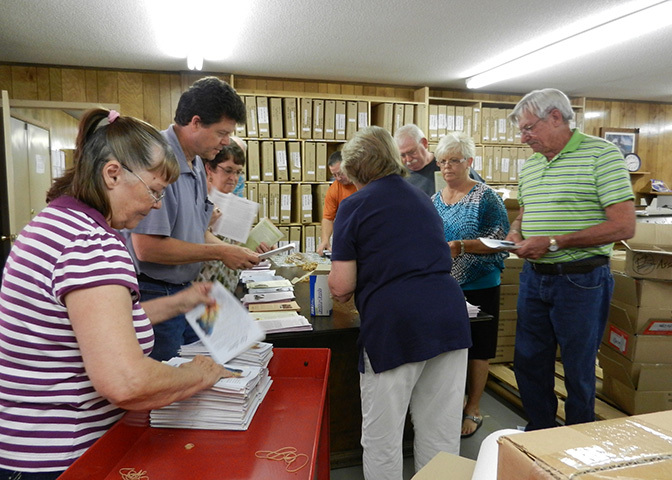 Monday, Bonnie and I finished the production and preparation for mailing of our September Rushmore Newsletter. Tuesday, we were able to mail numerous thank you cards to contributors over the past week. In addition, I was able to complete and publish to the Internet the September issue of Gospel Gazette Online. Between the time we left the office and resumed office work in the living room, Bonnie and I raced against impending darkness to continue painting the exterior of the Mission House in which we live. Just maybe, we will able to complete that undertaking before we leave the country on the 27th of this month. Wednesday morning, I was able to craft and send out the email notifications for both the September editions of the Rushmore Newsletter and Gospel Gazette Online. Though we mailed 557 copies of our newsletter, we apprise hundreds more via email where they can obtain a PDF version of the newsletter. The notification of the new edition of Gospel Gazette Online provides a handy Table of Contents whereby readers can go directly to articles of interest. In this issue, 26 writers penned 28 articles, plus there is an audio lesson as well. Bonnie has been working feverishly on the next issue of The Voice of Truth International, which must go to the printers before we head overseas in a couple of weeks. Now, I can devote more of my time to helping her with the layout, etc. Still ahead today is getting the files for the current issue on a DVD for overseas, whereupon brethren abroad will publish copies for distribution in India. Tonight, of course, we will fellowship with a congregation during Bible Study. We are Rushmore-ing! Comments: Comments Off on Rushmore-ing!